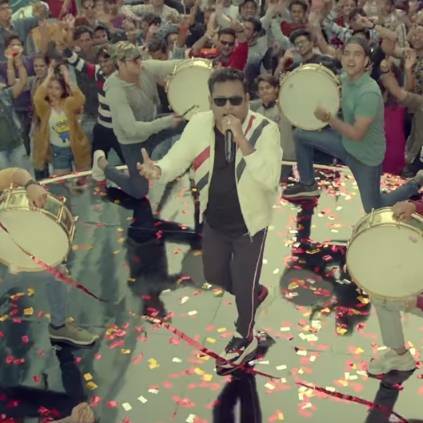 Marvel Fan Event in India happened two days and one of the directors of Avengers:Endgame, Joe Russo and A.R.Rahman attended the event to release the Marvel Anthem exclusively for Indian fans. The Marvel Anthem released on April 1 was in Hindi. Since then, there have been many requests and buzz about the release of Marvel Anthem in Tamil language. A.R.Rahman even replied to a fan saying it will release on April 4. Marvel Anthem(Tamil) has been released in an event by Vijay Sethupathi, Andrea and A.R.Rahman himself. Not only that but it has also recently revealed that Vijay Sethupathi and Andrea have dubbed for two lead characters of the movie. People looking for online information on AR Rahman, Avengers Infinity War, AvengersEndgame, Joe Russo, Marvel Anthem Tamil, Marvel Entertainment, Marvel Studios will find this news story useful.